At present, microwave drying machinery and equipment are facing the trend of high quality, low energy consumption, environmental protection, further strengthening basic research, automation, manufacturing technology and material appearance design. Convection drying equipment is widely used in industry. Air is both a heat carrier and a humidity carrier. Hot air exchanges heat with food to evaporate water. 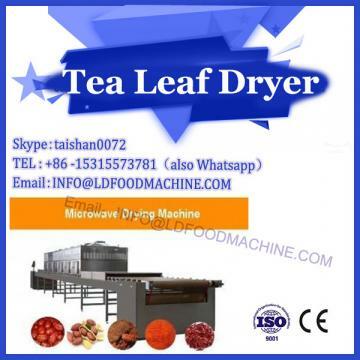 The principle of our food dryer is convection drying, using hot air and cold air to treat food separately. The energy consumption of food dryer is analyzed. Aiming at the defects of high energy consumption, low energy consumption is achieved for energy saving transformation. 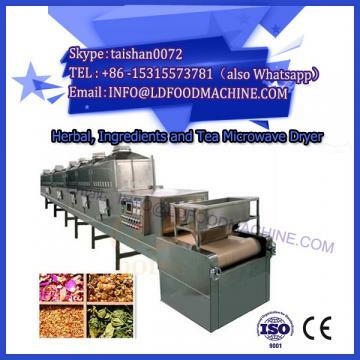 The technological process of food dryer: food is put on the leachate conveyor and transported by leachate and vibration, evenly into the elevator conveyor. The food is elevated to the entrance of the drying box by the lifting conveyor. The drying box mainly uses hot air to take away the moisture on the surface of the food and uses cold air to cool the food to reach the storage temperature. The food is transported to the outlet through the conveyor belt in the drying box. The conveyor is placed at the outlet of the drying box and collected by the guide. The main energy consumption part of food dryer is to provide drying and cooling air conditioning units. DeST energy consumption simulation software is used to simulate the air conditioning system of food dryer. The air conditioning system regulates the air to reach the state of processing food temperature and moisture. 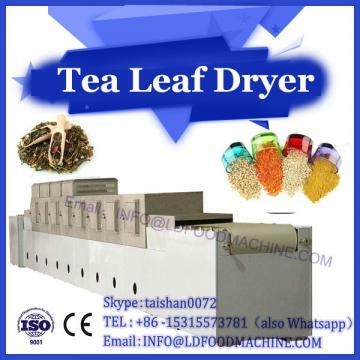 The structure and air conditioning system of food dryer are designed in DeST. The air conditioning system includes air handling equipment and cold and heat sources. The temperature and humidity of each phase of the air conditioning unit were obtained by simulation of the system plan. Through energy consumption analysis, the original design did not reuse the large amount of heat contained in the waste air of drying chamber and cooling chamber, but directly discharged outdoors. This resulted in low energy utilization and huge energy consumption. The heat in the waste wind can be recovered to avoid energy waste. Energy-saving improvement of food dryer: a runner-type heat recovery device is added between drying room and cooling room to recover and utilize heat from waste air. In the runner heat recovery device, the regenerative core absorbs the moisture and heat of the exhaust air in the drying chamber and exchanges with the cold trend exhaust air. The exhaust air in the cooling chamber absorbs heat and then sends it to the drying chamber to reduce its heat load. The exhaust air in the drying chamber is treated and discharged outdoors directly. In winter, the cooling room uses some dry room waste air to reduce the cold wind. Heat load of air conditioning unit. 1) the adsorption rate of moisture absorbent is uniform. 2) neglecting the influence of runner speed on internal heat and mass transfer. 3) The surface of the device is well sealed, neglecting external radiation and heat dissipation, and the fresh side and exhaust side of the runner are completely isolated. Because the seasonal change has a great impact on the energy consumption of the equipment, it is beneficial to save energy to change the operation mode of the food dryer in different seasons. In the transition season, the fresh air is directly introduced into the cooling room, and the fresh air is only filtered. In winter, the cooling chamber uses some of its return air to mix with fresh air, and then carries out heating treatment, thereby reducing the cooling load of the cooling chamber and saving energy consumption. The air conditioning unit with a rotary heat recovery device is added to the drying chamber to reduce the heat load of the drying chamber. The company uses DeST software to analyze the energy consumption of food dryer before and after energy saving improvement. After improvement, the energy consumption of air conditioning unit in drying room decreases year round, and the cooling room is empty. The energy consumption of the unit in winter and the transitional season has also been significantly reduced. The results show that the improvement of the food dryer can be achieved, and the energy consumption of the food dryer is obviously reduced while meeting the processing requirements, which shows that the improvement of the food dryer can achieve the effect of energy saving. Although the energy consumption of the improved food dryer is reduced, there are still some aspects of energy consumption waste that need to be improved.